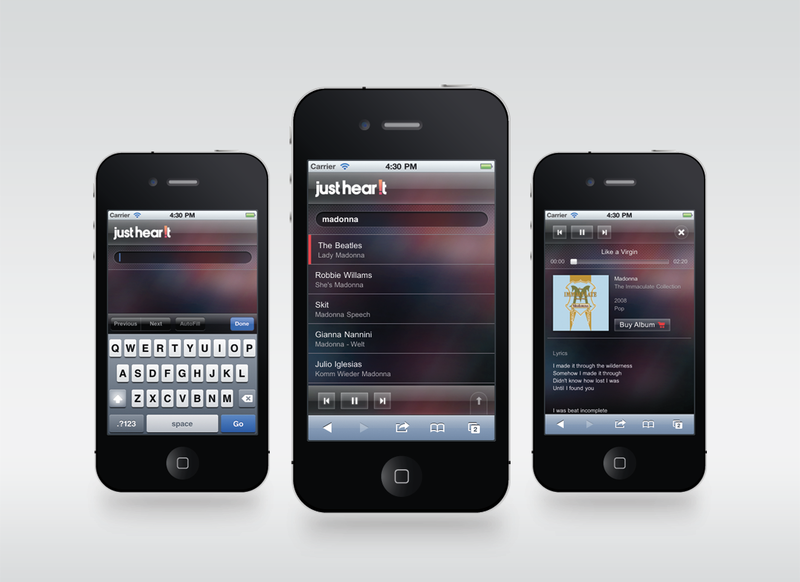 JustHearIt is an online music streaming service. 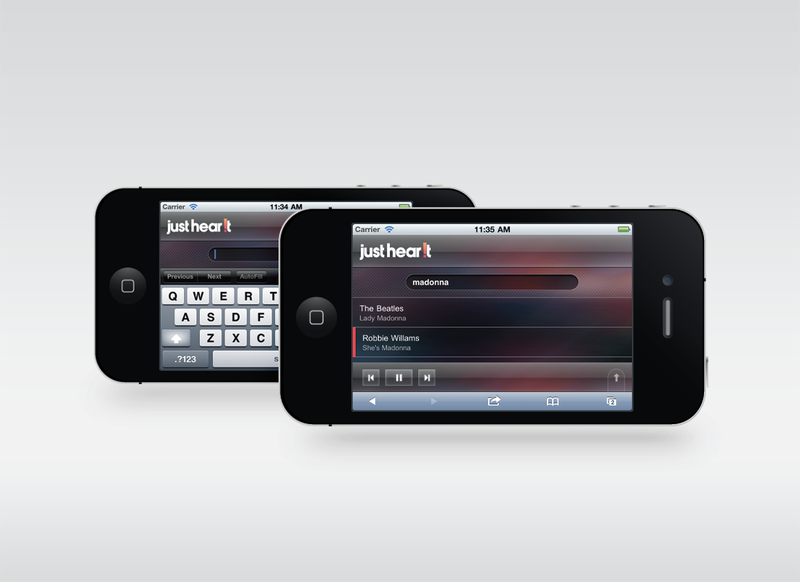 They needed fresh new tech in order to stream their music to Apple's mobile devices. This is where we came into the picture. 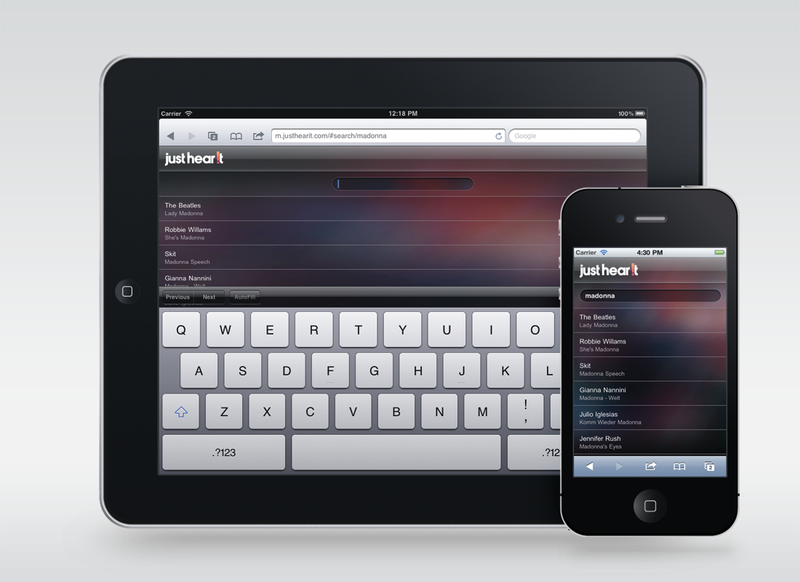 Using Zepto, Google's Swiffy and Backbone with HTML5 audio we were able to bring the music to the iPhone and iPad with a slick look and feel. While it began and as iPhone web app project we quickly managed to get it working on the iPad and a couple of modern desktop web browsers.